Veteran Democrat Joe Biden campaigned for president in all but name Saturday, declining to announce his 2020 plans but dropping hints, including a significant gaffe that suggests he will soon be all in. As the number of White House hopefuls keeps growing — at least 14 Democrats are officially in the race — Biden is now the last major politician who is contemplating jumping in. But the former vice-president has maintained the suspense. “Our politics has become so mean, so petty, so vicious, that we can’t govern ourselves — in many cases, even talk to one another,” he said. Biden, 76, sounded as if he was rehearsing a campaign speech, repeating lines about the promise of the 21st century and American resolve that he had used earlier in the week at a Washington speech to firefighters. While he tops nearly all early polls for the Democratic nominations race, he is under pressure to enter the field soon, or bow out. One of his potential rivals, the former Texas congressman Beto O’Rourke, launched his presidential bid Thursday and spent three straight days campaigning in the early voting state of Iowa, sucking up much of the political oxygen. Biden, a consensus-building pragmatist and Washington establishment fixture, is almost certain to kick off his campaign by mid-April, sources recently told The New York Times. “Folks, as I said, we’re literally in the battle for the soul of America, and an overwhelming need to restore the backbone of America: the working class, the middle class,” he said in the unmistakable rhetoric of a candidate. Biden mulled a presidential bid after eight years as Barack Obama’s deputy, but he declined after his son Beau died of cancer in early 2015. For many, it was a relief to hear their state’s favourite son sounding like a candidate once again. “He doesn’t just look like he’s back, he looks like he’s ready for a fight,” Delaware Governor John Carney said, firing up the crowd. Other Democrats in the audience agreed. 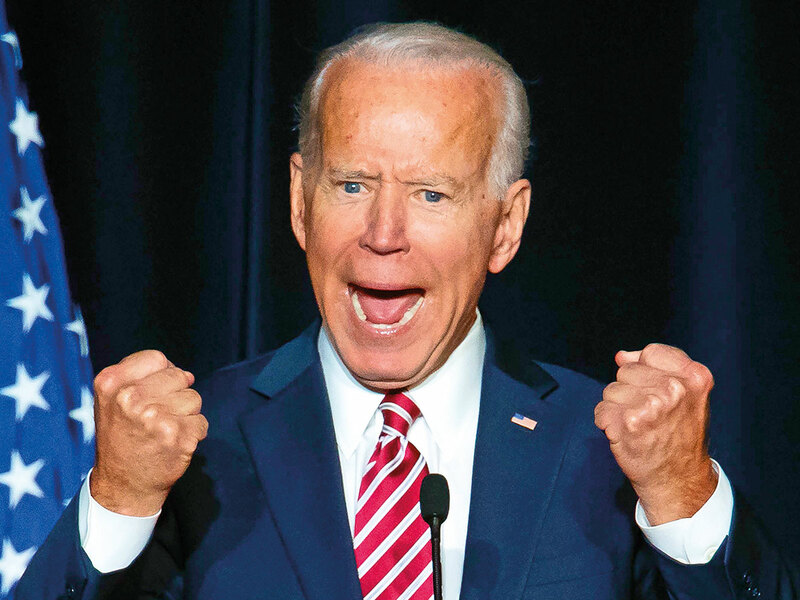 “Let me tell you something, it’s Joe time,” Stefanie Thompson, a vice-president at a financial services company, told AFP as she rattled off several Biden attributes she sees as crucial for the next president. But not everyone agreed that Biden ought to remain eloquent and above the fray should he take on Trump. “I think we tried eloquent before. Maybe we need to fight harder this time,” said Jeffrey Sytsma-Sherman, a Delaware Health and Social Services employee. Biden was ready with lines of attack, assailing Trump for “tearing down the guardrails of our democracy” by weakening hallowed institutions like the independent judiciary. He also slammed the dissolution of the “basic bargain” of corporations shared their financial successes with their employees.